Push Pull Cable – Tyler Madison, Inc. Unlike their counterpart pull-pull cables, these wire rope assemblies offer multidirectional control. Additionally, their flexibility allows for easy routing, making them popular in a number of industrial and commercial applications. The action push pull cables provide makes them useful as replacements in hydraulic, pneumatic, and electrical control systems for such varied industries as aerospace, marine, electrical, manufacturing, oil and gas, automation, and more. Common applications for these control units range from automotive seat releases, throttle controls, and even airplane wing flaps. Some controls are obvious and visible as in standard push lawnmowers, while others are concealed by surrounding equipment as well as protective casings or sheaths. Whether hidden or exposed, wire fittings and terminals are commonly added to one or both ends of the cables for easy attachment and connection points. Eyes, clamps, slips, forks, and pins are often hardwired into the end point for security, though toolkits are sometimes available and allow greater versatility of a given push-pull component. Completed assemblies offer a reliable means of motion transmission between two fixed points or points which change their positions relative to one another. 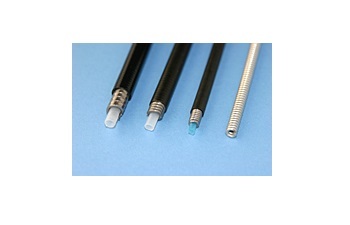 In addition to the casing, push-pull cables have three basic components. The most basic elements are known as filaments. These are cold drawn rods of metal that are relatively small in diameter. Two or more of these units twisted or braided together compose a group of wires known as a strand, the second major component. Finally, these strands are wrapped in a helical pattern around the core. Though the core may be made of fibrous materials or woven components, solid metal or rubber cores are preferable for pushing applications as they offer greater stability and force. Wire Rope Conduit – Aero Assemblies, Inc. In a push-pull system, compression moves the cables in one direction while tension pulls it in the opposing direction allowing for bi-directional mechanical actuation. To best achieve this, cable specifications such as length, maximum push and pull loads, thickness, number of bends, housing, and materials should all be carefully considered with regards to the intended use of the control cable. Together the conduit and core selection, number of bends in the system, and relative friction between the core and conduit determine the efficiency of control. 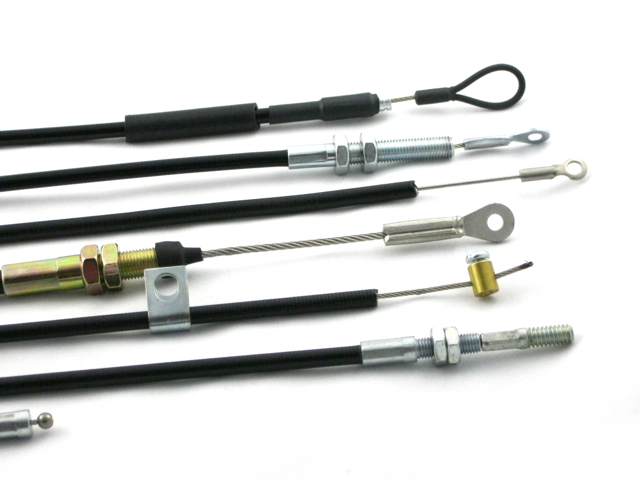 To suit the many applications needed, there are numerous combinations of styles and constructions available for push-pull cable assemblies. Push Pull Cable Push pull cables and controls are a particular type of control cable designed for the positive and precise transmission of mechanical motion within a given system.